I always catch myself watching hauls on YouTube from cheap clothing websites like Shein, Zafal, and Romwe. A few years ago I placed a small order from Shein and was complete unimpressed by everything and the quality was absolutely horrible. But in recent years it seems these websites have definitely stepped up the quality and I've learned that reading the reviews on each item is extremely important so I decided to give it another try by ordering from Romwe. This post is completely unsponsored. Before ordering I would have loved to read a post like this so I wasn't terrified if what I ordered would actually look like the pictures or not. My biggest tip: don't expect the best quality and read the reviews. Sometimes you'll be surprised with what you get, but be wary before ordering! I am actually really shocked by how much I like everything I ordered. The quality is really great and quite impressive considering for all of these items I only spent $63. Blue Bikini Set $9.39 | The quality of this suit is great but I do wish the top and bottom were sold separately because I could've used a smaller top, but the bottoms fit perfectly! Black Crochet Top $10.99 | I really love this top, it looks and feels like something that could be sold at free people. It's a nice crossover between a bralette and a cropped top. I think it would look great for a night out with a black skirt and leather jacket. 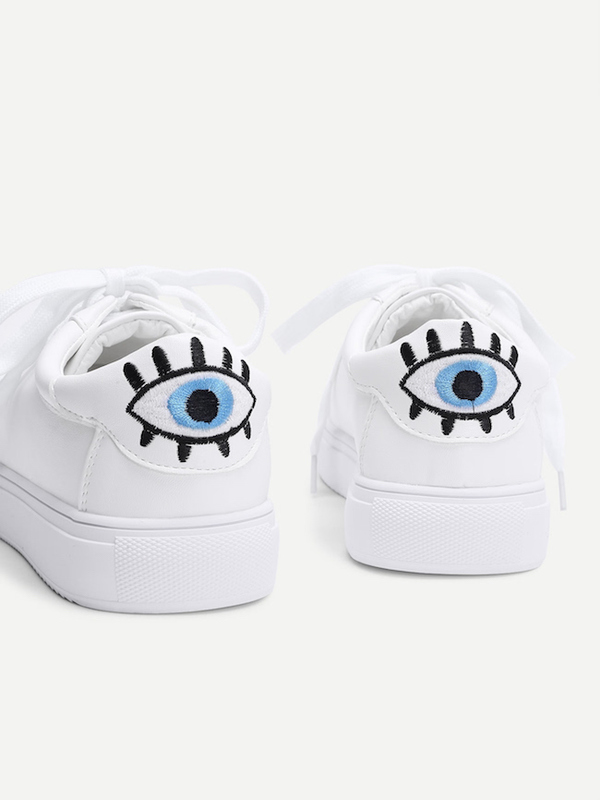 Eye Embroidery Sneakers $25.99 | These sneakers are super cute and I love the small detail on the heel. I don't have many pairs of sneakers (like I mentioned in this post) so I'm excited to get to wear these. I am a size 9 and ordered a size 39 and they fit great! I ordered one other top that seems to be sold out now so I can't link to it, but the quality was AMAZING and it was only $8.29! Thanks for the info, if there is an additional replay, it will be even more interesting.